Car manufacturers give face lifts to their older car models, to attract new buyers. Well, Phanteks has done something similar to the new improved Enthoo Luxe. The Luxe Tempered Glass edition is a “face lift edition”, and this small change has made a great little improvement. 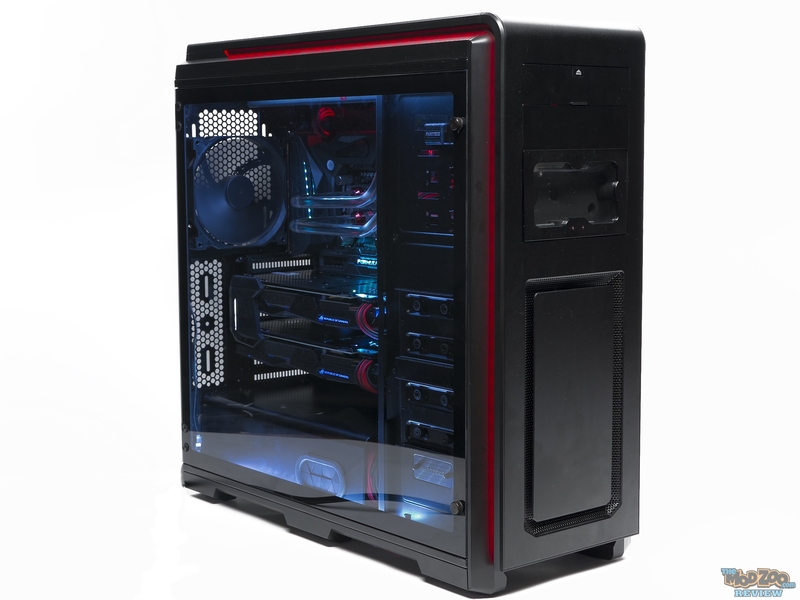 A lot of case makers have joined the tempered glass trend, that was started by In-Win. But, I feel Phanteks is starting to take that, to the next level. I have to say that I’m so happy to see a hinged glass panel on a case. This makes me less worried about dropping the glass panel on the floor and watching it break. The Luxe as a case, is the perfect sized case for folks that plan on running some serious hardware. It allows you to hold ample amount of hardware, cooling, and storage devices without making any compromises at all. The added tempered glass panel creates a nice view inside your case, and unlike acrylic, it does not attract dust or is easily scratched. The smoked glass panel is perfect, and it’s not a cheap thin piece of glass either. The case also comes with built in RGB accent lighting, and allows users to connect additional RGB strips on the inside of the case. Phanteks sells additional RGB strips in both 1 meter and 2 meter lengths. They are some of the easiest strips to work with. They use indexed, locking connectors, so you don’t have to think about what pin is the 12v, or have them un-plug accidentally. They also can be installed magnetically, or by use of self adhesive tape. Phanteks has confirmed the price of the Enthoo Luxe TG to be $169.99, and it should be available for ordering soon.